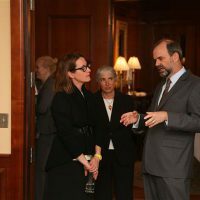 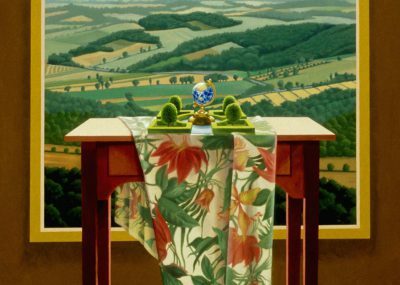 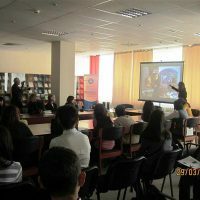 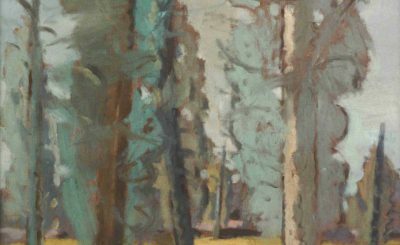 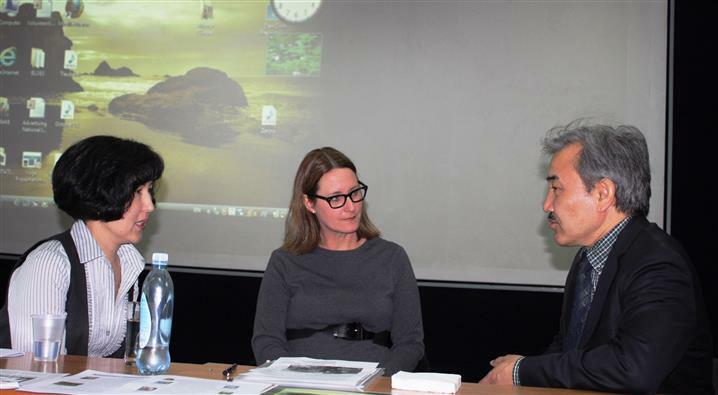 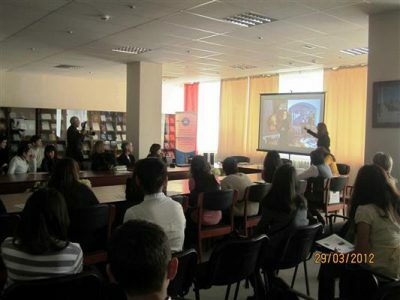 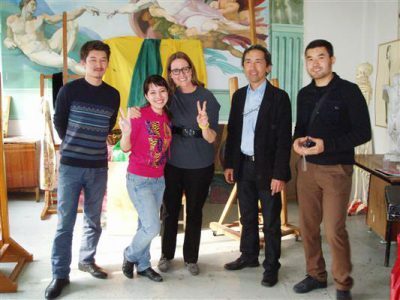 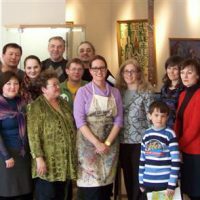 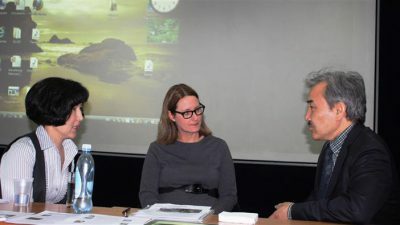 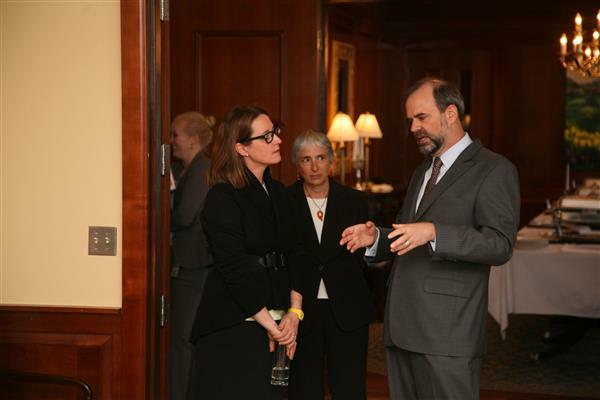 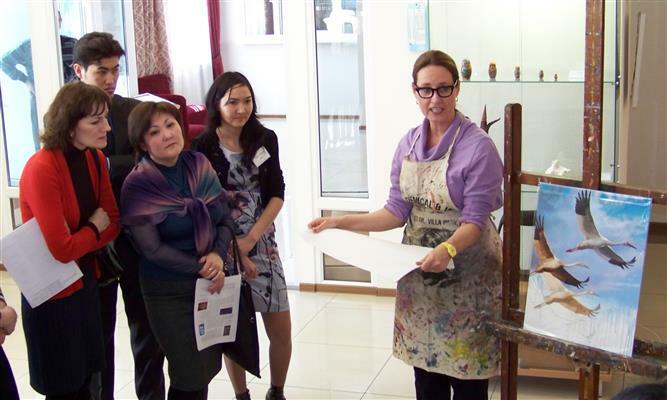 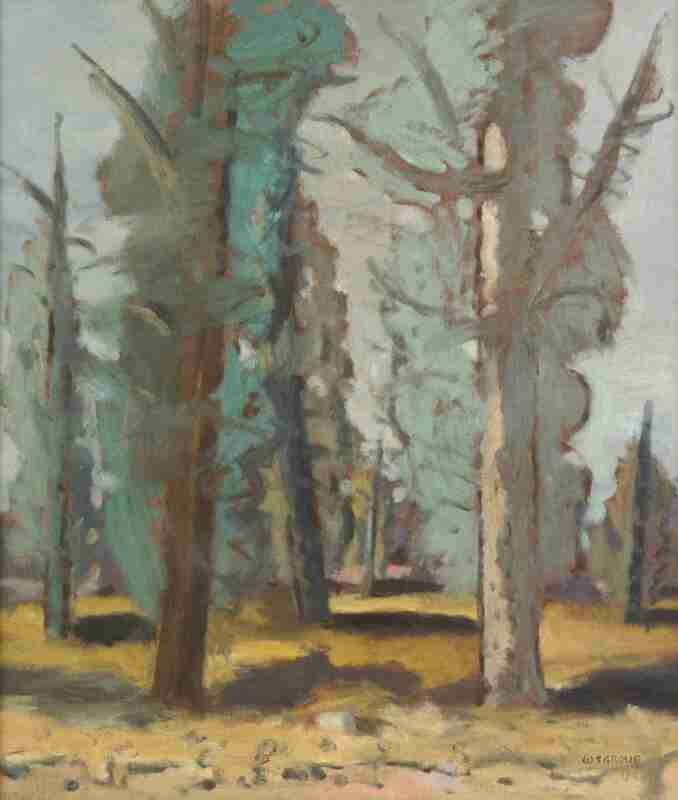 Art in Embassies exchange artist, Sharon Cosgrove, visited Kazakhstan from March 26-31, 2012. Art in Embassies exchange artist, Sharon Cosgrove, visited Kazakhstan from March 26-31, 2012. 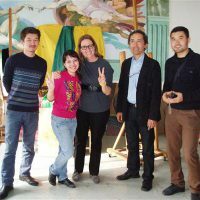 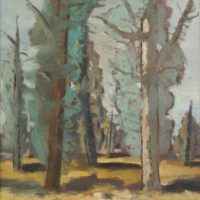 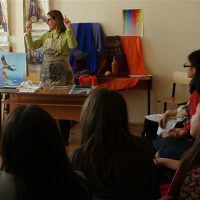 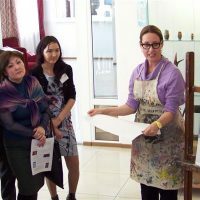 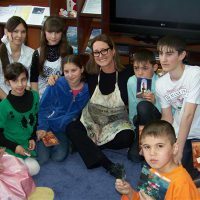 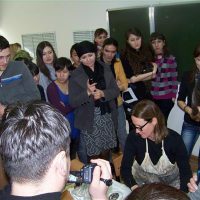 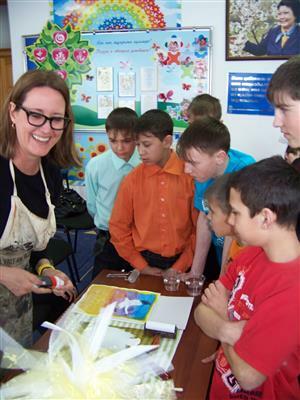 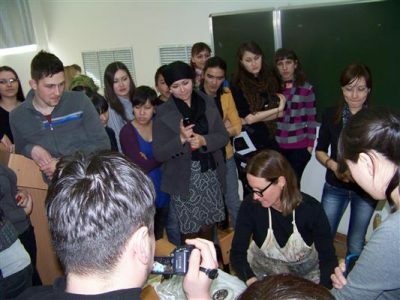 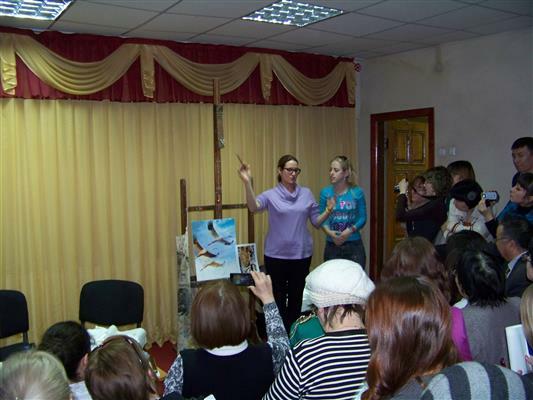 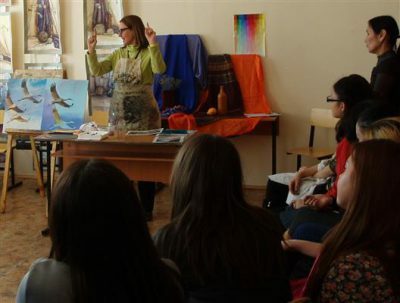 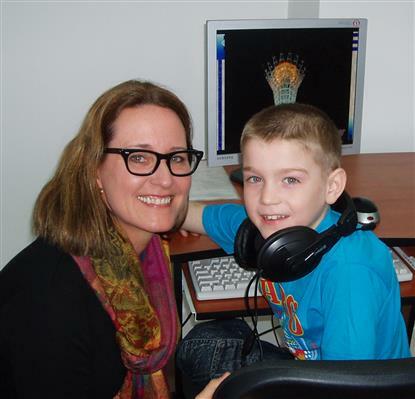 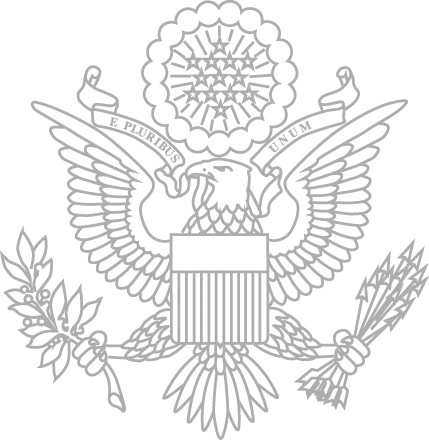 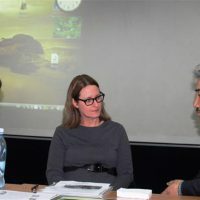 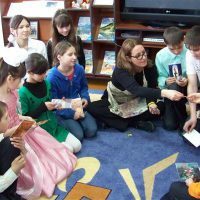 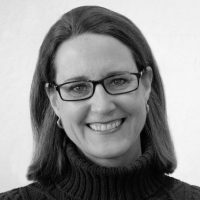 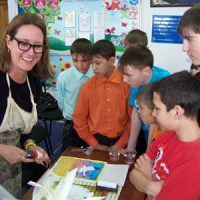 Ms. Cosgrove, an arts educator from Pennsylvania, traveled to Kostanay, Astana and Almaty where she gave master classes and led discussions about art and new techniques in American art. She met with art students and educators at art schools and American Corners. 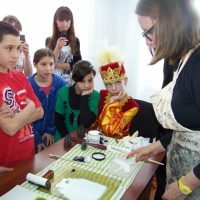 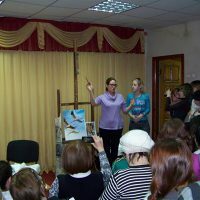 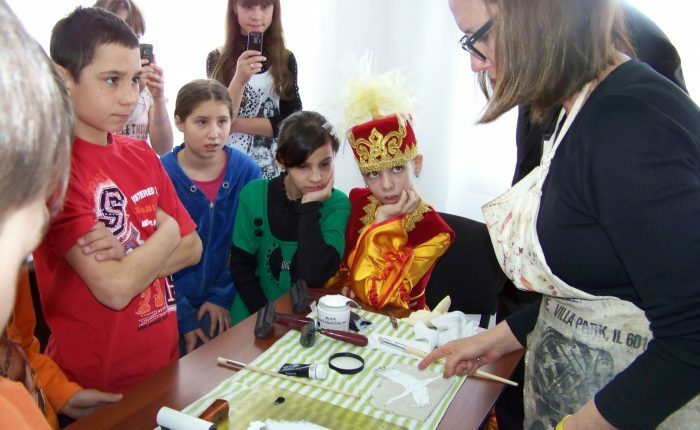 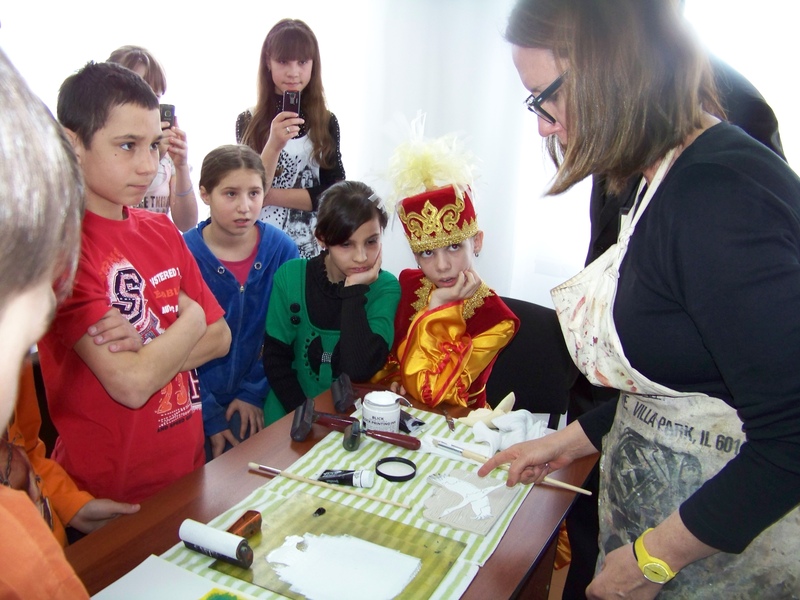 One of the highlights of her trip was a visit to an orphanage in Kostanay where she taught children the art of printmaking using a siberian crane stamp.